The Retromark Script Vol 2, was created to help you designing brand of yours own or your client, and you also can use it for designing all of the graphic stuff such as badge, sign, packaging, headline, T-shirt/apparel, Poster, etc. 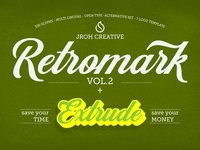 The Retromark Script Vol 2 was designed for personal characters such as strong, confidence, dynamic, readable, etc. Containing 336 Glyphs with 147 alternative characters to improve your design. 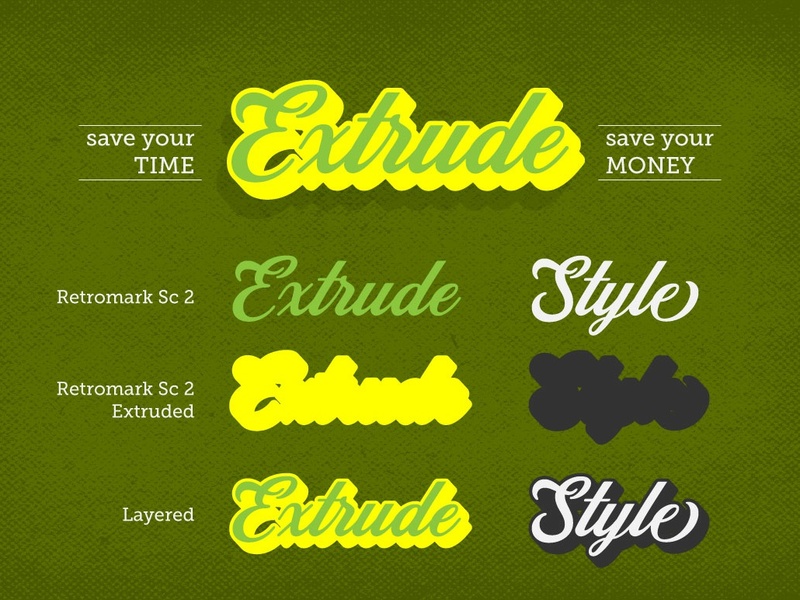 Retromark Script Vol 2 also comes with extra Extruded Font version. 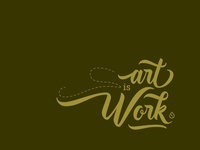 So you won't need extra effort for create an extrude effect for this font. This mean it will saves your time and your money.